Living in Silicon Valley, you are often surrounded by diverse groups of people. I love it! Mexican, Chinese, Japanese, Indian, Korean, Vietnamese, Iranians - you name it! 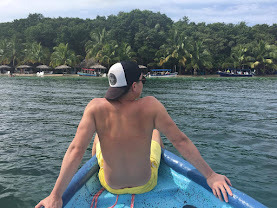 Sometimes you even see a white person or two!! 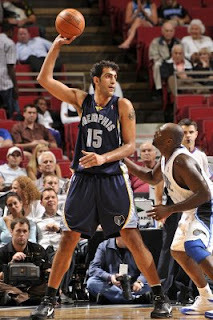 Well, to salute my Persian friends (Iran), congratulations on your first NBA player - Hamed Haddadi. He joins the Memphis Grizzlies as a 7-2 center from Ahvaz, Iran. He's going to love the culture in Memphis and quickly become a fan of country music if he's smart. 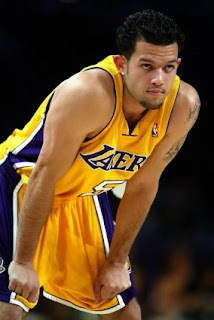 Technically, there's another Persian player, but he's only half and he was born here - Jordan Farmar of the Los Angeles Lakers. For you Persian hoops fans, I felt the same amount of pride when the first Chinese player stepped onto the court for the Dallas Mavericks - Mr. Wang Zhi Zhi. Hopefully Haddadi lasts longer in the league. Nonetheless, he paved the way for Mengke Bateer, Yao Ming, Yi Jianlian, and now Sun Yue, the rookie for the Lakers. P.S. Let's not forget the insensitivities of the Spanish National Basketball Team - members of the media have the right and responsibility to question the actions of public figures. thank you for the showcase of hot sweaty muscled men. Maybe one day you'll get a private showcase, if you know what I mean... heh heh heh.... You'll get two passes to "the gun show" - one for you and your mom.